This was an embarrassing and sobering moment for me—as I’m sure all of us had when we arrived at the University of Texas for the first time. I left high school knowing it all and ready to conquer the world, but realized quickly that I could not have even survived orientation on my own. August came around soon though, and, like all of us, I began to attend classes, lectures, and football games. Over the past several years, we have been witnesses to many events in our world. We have witnessed the election of a new president—one we were finally able to vote. We have witnessed a credit collapse. We have witnessed a budget crisis. And yet, we knew that this was the world in which we were about to be unleashed in only a matter of years. My own eyes slowly began to open. Suddenly the age-old promise of the future being ours seemed to be less of a promise and more of a threat. In our classes, we learned about commerce, economics, and ethics. We learned about cultures, religions, and traditions. We learned about integrity, honesty, and freedom. We learned every two-letter word that could be played in a game of Words with Friends. We learned about principles to apply to a real world—a cold, rigid, and harsh world that was awaiting us. Today we reach a crossing where we have the chance to mold and shape this world. If “what starts here changes the world,” then we have a daunting task and great expectations laid upon us. Yet, it is ours to embrace! As we embark with our degrees today, it is important to consider what we are receiving. For what does a degree truly guarantee? Success? Happiness? Employment? 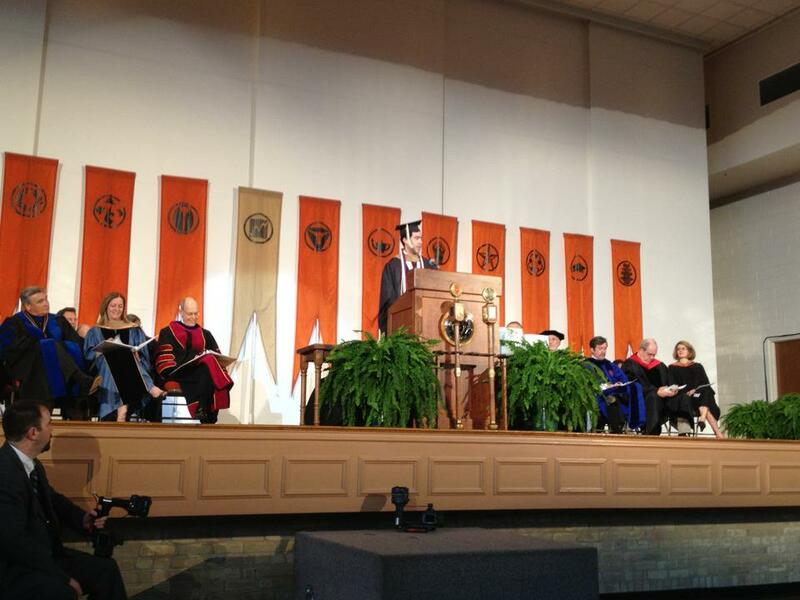 Our degrees are invaluable–our quintessential defense. Our greatest safeguard is that we are able to read, write, and reason—the ability to create. It is a shield against manipulation and cajolery. It is our sword against evil and tyranny. It is our shofar to signal a just cause and to alert those who remain unarmed. As we see the uncertainties that abound the world we enter, we know that we come from an outstanding university and will attain careers in influential roles. It is with this outlook that we know we will have the opportunity to shape the world for other students one day. And it is with this understanding that we are aware that we undertake great expectations. We sing “the eyes of Texas are upon you” frequently, but today, for the last time, it is being sung to us. We have the expectations that we, with what we have learned at the University of Texas, will continue to strive for the higher ideal to hopefully leave the world better for the next generation, as the past generation strived to leave it better for us. Many years from now, we will look upon this day, not as an ending, but as a beginning of the time we were unleashed into the chaotic world we inherited. Many years from now, we will look upon this day as the start of our lives as true contributors to the communities around us, contributing in our thoughts, our words, and, most importantly, our actions. Many years from now, we will look upon this day as the moment in which we embarked upon a journey in which we examined the lessons of the past and sought to correct them as we emblazed on a new path. (Many years from now, we will look upon this day and wonder just how Angry Birds grew to be so popular…) Many years from now, we will look upon this day and recall the many ways each of us has individually shaped each others’ lives to give us the new perspective with which we approach our next challenges. I have by no means cemented my destiny, but what is for certain is that I am no longer lost as I was graduating from high school years ago. What we have learned over the past five years has given us a clear sense of direction, and, in acting upon the lessons we learned, we, as a class, can be trusted to lead the world into the next era. John Wooden once said, “Little things make big things happen.” And I’m a firm believer in that saying. All of our actions, no matter if seemingly small and inconsequential, cumulate and send the greater message to those around us. Thus, as we leave today, we go with confidence and a charge to continue to use our work to be helpful to everyone around us. These are the responsibilities that our education now endows us: that we actively set the example, using what we have learned from our experiences here, to ensure that the next generation inherits a paradise of integrity, trust, and freedom; that our contributions do matter; and that we have the opportunity, as a class together, to guarantee that the world will be ready to be inherited many years from now in better shape than we received it. So I ask you: if what starts here truly changes the world, what are we waiting for? The past several years have been amazing, and I am indebted and forever grateful to the faculty and staff at UT, especially those within the McCombs School of Business and MPA Program, and my peers who stood beside me during my best and worst hours. Thus, thank you, Austin, for five absolutely beautiful years, and may God’s face be able to shine upon the work of our hands forever! The official word list for the Scripps National Spelling Bee is Merriam Webster's Third New International Unabridged Dictionary. I never enjoy telling this story. I nearly used it as my commencement address several weeks ago, but I find it too embarrassing to say it aloud to that many people at once. It’s truly sad and out of the character that most people know me by today. It’s ironic that one of my greatest achievements is also one of my greatest failures and one of the few turning points in my life where my personality was changed permanently as a result. People often ask me why I bring so much intensity when working on projects or on a team. They wonder why I feel it is necessary and not a burden to work on a valuation assignment until all hours of the night. It all stems from this experience. It happened about a decade ago. When I was twelve, I muscled my way to the top three of the city bee. In the couple of weeks before the competition I realized the potential I had when I set my mind to actual studying. That June, I began studying again for the next bee in March. There would be no stopping me. Sure enough, I busted my tail for months and qualified for the Scripps National Spelling Bee with the word photolysis. What followed was quite a spectacle. My name and face appeared on the front page of the newspaper, hundreds of people called my house to congratulate my parents and me (this was truly surreal—even the nurse who delivered me called my mom and dad), and I suddenly became a bit of a hero at school. In the meanwhile, I had three months and an expanded word list to learn. And I was ignoring it. Okay, I’ll say it: my preparation was atrocious, and I was about to pay. In the experimental (at the time) written round, I missed the cut by a couple of words. I’ll never forget it either. The reporter from the El Paso Times interviewed me and asked me how I felt; I said, “Devastated.” My dad gave me a look, and he asked, “How can you feel ‘devastated’ when you didn’t even study?” I told him I’ll just come back next year. I took a couple of weeks off and began to prepare for the next March. It would be my last year of eligibility, but I would be the first El Pasoan to compete in the national competition in consecutive years in quite a while. (El Paso actually has a pretty competitive bee, as it also incorporates southern New Mexico.) No big deal. What happened next was nothing short of divine intervention. That March I was in the position that I wanted to be in. I had cut out all the pretenders from the competition, and I was there, with experience, spelling words that were no longer in the Paideia, the distributed word list. In a position to win, I felt confident. Here I went; I stepped up to the podium to receive my word. “Eiderdown.” Eiderdown? PERFECT! German origin, means the feathers in a pillow. And I proceeded to ask the usual questions…except in a cocky way to prove I knew the word. “German, right?” “Yes,” replied the pronouncer, Gary Warner. Oh no! I didn’t say that! ….did I? I choked a bit. Surely I hadn’t just said that. The rules say I can’t take back letters, but I spell so slowly, there’s no way I actually said that. Oh no! I did it again! It’s over. I couldn’t believe it. A mistake I never made because I spelled at the speed of dirt, I made twice, and now it was over. I spelled the word correctly on the third try, but it was too late. I exited the stage. I finally knew what “devastated” felt like. I knew exactly how to spell that word, but 2003 was someone else’s turn. I had already had my shot and blown it. That day, I learned that sometimes, you only have one opportunity to make your mark. When I was 13, I took my chance for granted. I swore that from then on, I would treat every opportunity as if it was the only one I would ever get, because I now knew that there were no guarantees at second chances. Imagine: I missed a word that I knew how to spell. My trip to the national spelling bee was not only a feat but a failure. My preparation was poor, and I failed to reach my potential as a result. Don’t get me wrong—I’m not saying I would have won it all. But I could have at least advanced two more rounds with adequate preparation, and at that point, anything can happen. And that is why I approach what I do in the manner that I do. 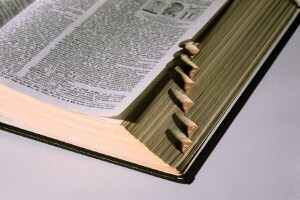 I stay up at all hours of the night doing homework to make up for the hours that I neglected that new stack of words. I have one stint at UT, and there’s no going back in time. I used to carry a binder with the saying “PREPARE like a Champion.” That’s because championships begin long before seasons start. They begin in the off-season, when there is no one else in the gym. Just you against yourself, shooting free throws and running laps. I’ve always reminisced that life is a spelling bee: you compete against yourself. You get to see what you are made of. 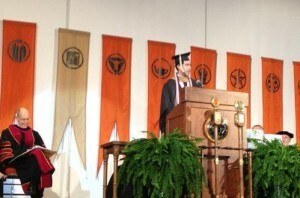 And that is why you see me in McCombs, two weeks after graduation, finishing up some work still. Because there is nothing like giving your whole heart to something, and incessantly pursuing it—whatever it is you do. When you have the opportunity to do something well or leave your mark, approach it with your whole heart and your whole being. I thought I would have a second chance, but it turned out that fate had other plans. Thus, do not ever take opportunity for granted because you may never have it again. 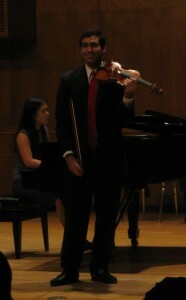 Allie Su (piano) and me (violin) on May 11, 2012. Earlier this semester, my violin instructor at UT asked me to think about why I continue to study music and what it means to me. Coming from a major in which a lucrative career is emphasized, taking the time to reflect why I would continue to study music was important. A music career exemplifies the risk-reward theory from finance; that is, it is extremely difficult to have a long-lasting, stable career in music that compensates handsomely. If that is what you’re seeking from your degree, you are likely taking a great risk by choosing to study music. Or as some of my friends put it, “Am I not just wasting time by studying and practicing still if this is not what I intend to do to earn a living?” After some pondering, I realized my answer is no. Emphatically no. First, the definition of “being productive” is constantly being misplaced. I will never forget the sermon of the late Father Jim Weisner when I was a sophomore. Father Jim proposed the argument that going to church could also be seen as a waste of time; after all, nothing was getting done, no one was making money, and, therefore, going to church was unproductive and a waste of time. Father Jim continued with an analogy. He asserted that despite this definition, no one would ever describe holding a baby as a waste of time. How could you? There is always something magical about holding a baby: seeing him or her smile, gaze in awe, stretch out his or her arms. Productivity cannot and should not be measured by the conventional metrics. Rather, it is essential to view productivity in terms of what is constructive to one’s self. Is studying music directly enhancing my degree plan? Maybe, maybe not; but nevertheless, it is essential to my well-being and happiness and is definitely a productive part of my week. Let’s be honest, you can only read so much tax law before losing touch with your reality, mission, and goals. Likewise, no one would ever, ever proclaim that going to a Texas football game is a waste of time. However, a football game is basically an extended period of time during which no “work” is performed. No other study has taught me the value of detail other than the study of the violin. Business students are constantly competing against each other for grades and in school you are evaluated against your peers. Music is much more demanding due to the fact that you are competing against yourself. For example, in the recital I will perform this evening, I have set a standard that I consider perfection and will evaluate myself against my self-set standard. Let’s take a single aspect of musicianship: intonation. In the business school, a particularly strenuous exam might rank an 85% as an A. To contrast that to the study of the violin, if I were to perform and only play 85% of the notes in tune, it would be quite the cacophonous experience. The truth is that most listeners would prefer that every note be in tune—and this is only a single aspect that the musician must manage while also having focus on dynamics, tone, bow economy, articulation, etc. Nothing in the practice of accounting teaches meticulous attention to detail the same way the study of the violin does. In many ways, despite my tendency to visualize things from a bird’s-eye perspective, the study of music is what has taught me how to put the puzzle pieces together in order to achieve the big picture I so desperately desire to see. John Wooden of UCLA once said, “Little things make big things happen.” This has never been as evident as it is in music, where planning and execution of minute facets cumulate to create something fantastic, transforming text on a page into the emulation of emotion. For me, music transcends the ordinary into the extraordinary. On one hand, music enhances the personal life. Music brings a joy that is inexplicable and that cannot be replicated by anything else. A friend of mine who studied psychology once explained to me that people who have studied for as long as I have experience music via the cerebellum, which is the same part of the brain that regulates our breathing and heart beat; he says that is the reason that some people always have their iPod with them at all times. Regardless of the science though, the presence of music in life brings about happiness. I personally cannot imagine a profession, other than musician, in which I would be more than ecstatic to go to work every day. The ability to perfect one’s art, create beauty, and finally spread that joy to others cannot be compared to anything I will get to do in accounting. This is not meant to bash the accounting profession by any means; as a future auditor and board contributor, I can certainly attest to the fact that I will have to opportunity to be creative in my approaches to testing and standard-setting. Most importantly, is the contribution that music makes to society as a whole. We have seen the consequences throughout history of what happens to great civilizations when citizens turn from amusements of the mind to other amusements. The continuance of arts, as well as sports and academics, contribute to a healthy and vibrant society. Creation of some sort is necessary in order for societies to avoid complacency. Music provides this. Musicians are not studying music for a career that is lucrative in terms of dollars and cents. Rather, a life full of the music is rich in other ways. It is rich in the fulfillment of a day’s labor. It is rich in what it contributes to society. It is rich in the joy that it brings to people. It is rich, a la Maslow, in the fulfillment one receives when successfully creating his or her masterpiece on behalf of all humankind. And for some reason, accounting, while I relish my study there, will probably never bring me enjoyment in precisely the same way, for accounting is not and was never meant for self-expression. This is why I continue to study music today. It continues to bring me fulfillment in my life that is not comparable to anything else. It allows me to be creative in ways that neither accounting nor law will. While creativity is important in business, too much creativity, especially in accounting, can ultimately be harmful. A friend of mine in accounting school once looked at my sheet music and told me, “That means nothing to me,” to which I responded, “That’s right; it’s my job to make it mean something to you.” Unlike explaining the meaning behind accounting numbers, only through the study of the violin am I able to interpret and convey the same print of music in a variety of different ways. If society were to look at the arts and say, “the arts are unproductive,” then many would be discouraged to study the arts. On the other hand, I chose a more risk-averse career so that I could enjoy such diversions. Without the arts what is the incentive for working? What would truly make life worth living without our manipulations of the senses? Economically, one could say the arts provide some sort of utility that maintains society in a balance. As such, I hope by continuing to study my instrument I will continue to challenge my mind. While this may be my last recital for the foreseeable future, I can guarantee that this will not be the last time I take the stage. With self-study and a creative outlet, it is only a matter of time before I find another channel through which to unveil the fruits of this study yet again. 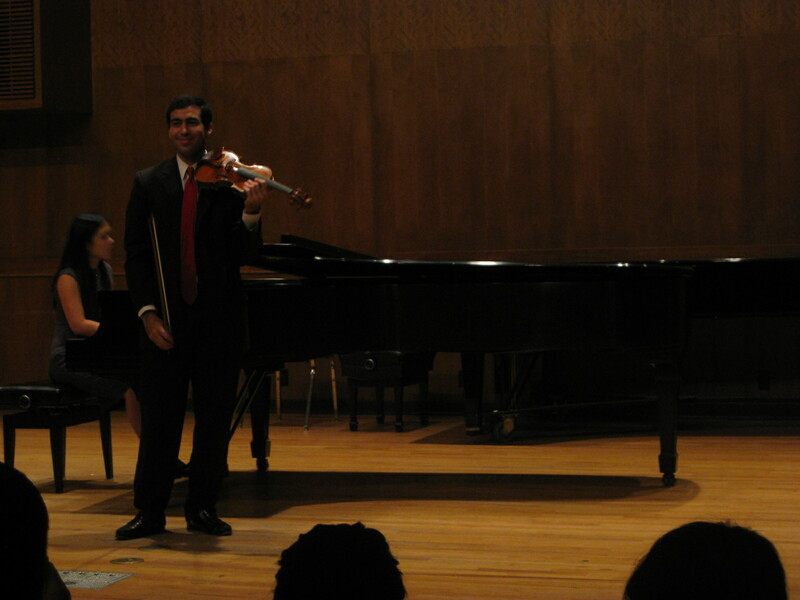 Itzhak Perlman performed at UT in the spring of 2009. Beforehand, I attended a lecture by Dr. Gratovich. At the end of his lecture, he emphasized the importance of the survival of the art in terms of creation. (You will probably notice that most of the pieces I am performing are centuries old.) As can be expected, without contributions to repertoire, the art will eventually die. You may notice that very few pieces are written for the violin nowadays. In any case, he issued a challenge to composers in the room to write and try to spread original works for this sake. He probably does not know this, but someone took him up on his challenge, and that would be me. Because of a dare to complete the piece, I finished it in the summer of 2011. This sonata is written for violin and piano with the notion of collaborating with the pianist. Although only the first movement is performed today, in the first movement and throughout the piece, there are many instances of dialogue between the piano and violin, feeding off each other melodically and harmonically. Last, less evident from solely the first movement, the entire sonata is very influenced by Texan rhythms and dances (with a splash of Bach here and there, of course). In this video taken on May 11, I fumble through the first movement. I try to limit the extent to which I dip into political matters on this column. It’s not becoming and most likely annoying to the reader. That being said, the current situation regarding President Powers truly alarms me. The issue at hand involves the Board of Regents’ decision to freeze tuition for in-state undergraduates. After the Board of Regents made their decision, President Powers expressed his disappointment in their decision to reject the plan that his administration had proposed. About a week later, rumors abounded that a regent was working to remove President Powers from his position. First, this hits my pocket book hard, because some of the tuition discrepancy was made up for with larger-than-proposed raises to out-of-state and graduate students. Was it unreasonably huge? No, but seeing as how it effectively singles out MPAs, the solution seems less equitable. It is definitely not intentional, but if I were advocating for MPAs only, then this would certainly be an issue. Likewise, this is not attractive for out-of-state transfers into the program. Second, President Powers may actually be correct. Taking money from this fund seems less sustainable in the long-run than does moderately increasing tuition. 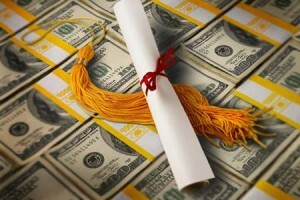 The tuition was expected to be raised by just under $300 per student. With rising expenses and decreasing funding from the state, compensating costs from the AUF appears like a more temporary quick-fix than a long-term solution. Any business student would tell you that. It also creates uncertainty with respect to programs you can initiate and maintain because it is unknown where the funding will come from in future years; you cannot operate in perpetuity and expect to compete with peer institutions if you are forced to shut down and restart such programs and initiatives. In other words, UT needs a sustainable and reliable source that can be relied on if it wants to keep its place amongst the top institutions in the nation. As such, I would anticipate tuition increases will be more vehemently debated two years from now. At that point, it seems that in order to continue the programs that we have begun, tuition will have to make a more significant jump, at which point it will be a shock to students. It may sound callous, but in order for the University of Texas to remain competitive to other institutions, we need to pay. There is no such thing as a free lunch. If we want the quality of education at UT to continue to improve, then we have to pay for it—whether it be through tuition or taxes levied upon us. Thinking that we can keep dipping into the earnings of a permanent fund, during an economic downturn, is a fantasy, and I cannot imagine that it can be repeated too many times. This leads me to believe that some political motives may be involved. Telling the majority of UT students that their tuition is not going to change sounds very popular indeed. This statement is not to undermine the decision of the Board of Regents; however, I agree with President Powers that the adopted plan is unsustainable. Why else, then, would this plan be adopted? This leads me to believe that the rumors about trying to remove President Powers hold some credence. While I am not in a position to confirm or deny these rumors, the fact that the Senate, GSA, and Faculty Council have prepared a joint resolution certainly gives these rumors enough credibility for them to be taken seriously. Some who have talked to me over the past several years have probably heard me say that I feel we are in a state of quasi-mob rule. That is, the abundance of social programs has put excessive pressure on lawmakers, leading them to formulate laws accordingly to ensure citizens receive benefits instead of basing these decisions on what is sustainable and possible. In other words, the politician who can guarantee you get your welfare now gets elected in lieu of the politician who would state the state cannot afford such a program. I fear this may be the motive behind the rumors of the removal of President Powers, which leads to the last reason I find this situation disturbing. I realize that there is usually a disconnect between theory and practice. However, it really bothers me that President Powers was threatened because he expressed dissatisfaction. To me, this is almost a constitutional threat. It is probably less on the edge than I am portraying it, but the situation is disconcerting. The speech that this amendment protects is political speech. As opposed to commercial speech—which explains why your company is allowed to tell you what you can and cannot say—political speech is protected as long as it does not introduce “clear and present danger” to the government, Schenck v. United States (1919). This explains why you have the freedom to say what you want, but you also can’t yell “Fire!” in a movie theater. That all being said, the purpose of this amendment is to be a check on the government. In order to have freedom, you have to be able to express your satisfaction or disappointment with a government. Rather, how free are you if the government acts in a way you don’t approve, and you aren’t allowed to express it? In my opinion, this is exactly what President Powers did, and this is why his leadership is being called into question. Dissatisfied, he expressed what he felt. Yet, especially as a high-ranking official, it is alarming that this is the reason being alleged for why he is wanted removed from office. Fathom that once again—President Powers exercised one of the most basic rights under the U.S. Constitution, and it caused his job to be questioned. While it is usually not kosher to constantly question your boss, when dealing with taxpayer dollars, you have a duty to taxpayers to ensure those funds are being used accordingly. Thus, regardless of whether Powers or the Board of Regents is correct, both parties should be able to express their sentiments in order to ensure the free flow of information, and the completeness of information. This provides a check and balance on both sides. If a high-ranking official, like President Powers, has to operate in silence for fear of losing his job, then there is an unconscionable imbalance of power and an asymmetry of information being presented to the public. And that’s why this situation bothers me—because although President Powers appears to be doing his job well, the fact that rumors began to unleash at his discontent seems to be an attack at the freedom of speech that provides checks and balances within the government. As a result, regardless of the decision made by the Board of Regents or the proposal by the administration, I find myself supporting President Powers during this bizarre episode. While I do not anticipate anything will happen, the reasons set forth provide my concerns for the situation. In any respect, congratulations to all of us graduating this upcoming weekend. May this not distract from the accomplishments we have all worked for during the past five years. 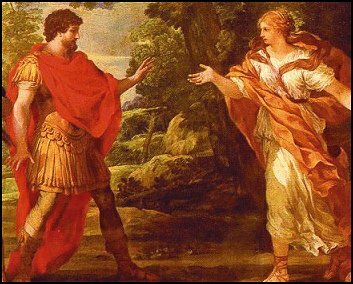 Calypso entices Odysseus, who stays with her for seven years before returning to his wife, Penelope. zeitgeist is flowing and the situation where the U.S. Secret Service has found itself in the past several days, this is something that needs to be addressed. What a stain on the United States!